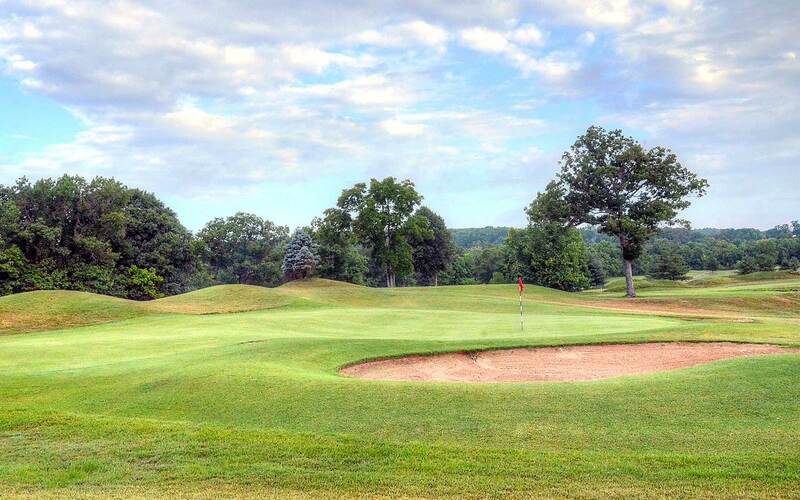 Just a full pitching wedge from the banks of the mighty Meramec river, on a patch of land dotted with a mulitude of lakes, sits the eponymously named golf course, Meramec Lakes Golf Course in St. Clair, MO. 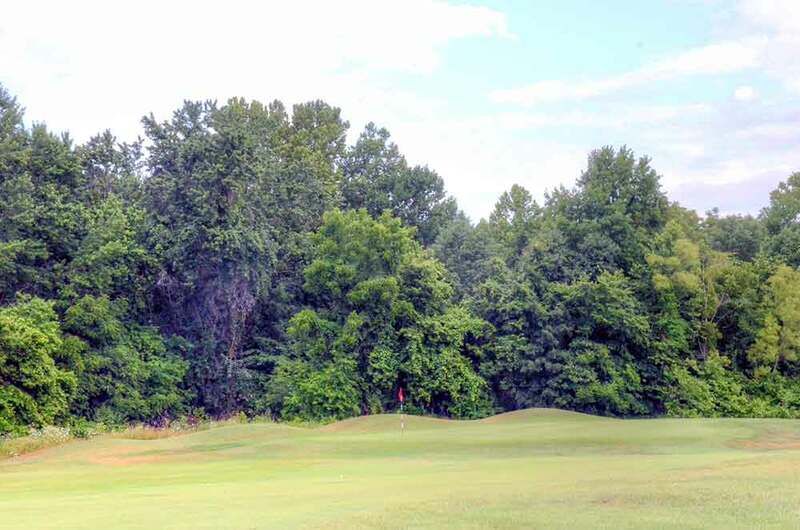 The course, redesigned by Gary Kern in 1998, will provide an excellent test of your golfing skills. Though “The Lakes” is located in St. Clair, Missouri, for a few minutes we thought we might have been in the North Pole. It wasn’t because of frigid temperatures; it was a muggy Missouri morning when we made my way around Meramec Lakes. It was because a guy in a twosome ahead of us bore a striking resemblance to jolly ol’ St. Nick . 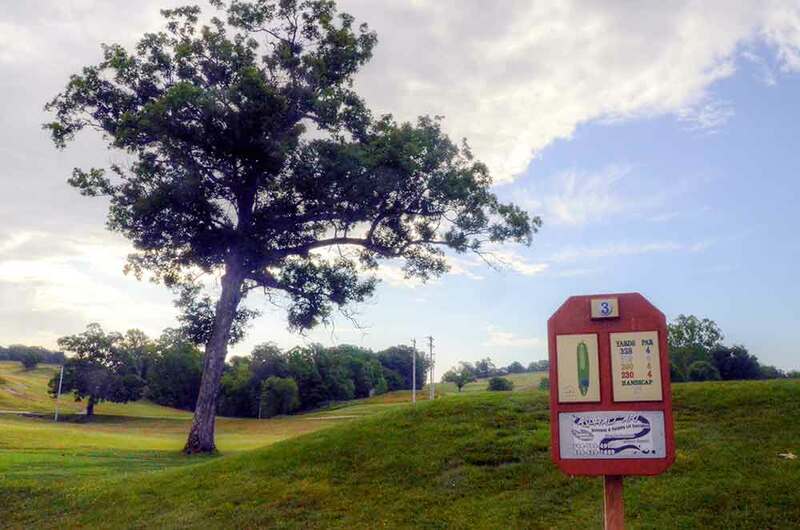 . .
A family-owned affair, Meramec Lakes has made affordable tee times, a less-than-stringent dress code, a serviceable golf challenge, and free summertime Santa sightings available to all. 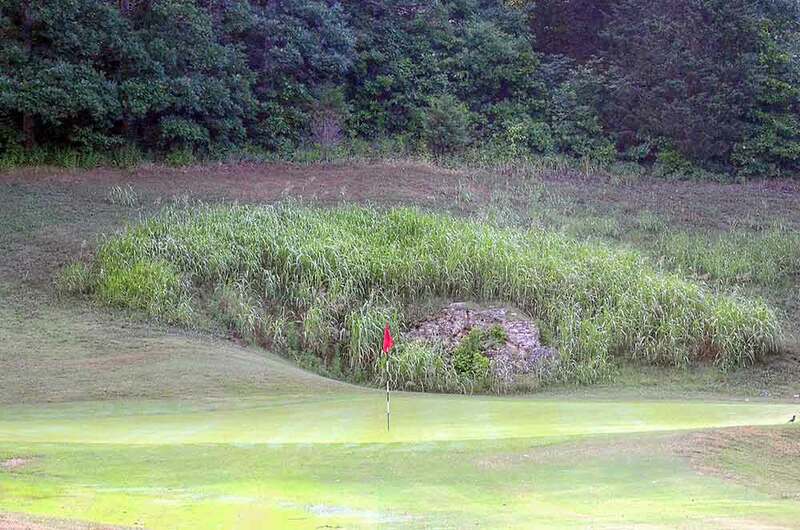 The golf course is fairly well maintained, however, the zoysia tee boxes and fairways were a bit inconsistent and the bent grass greens, though attractive and challenging, were a bit pokey. In the golf course’s defense, it should pointed out that we were there early in the morning after some heavy rainfall the night before, and the moisture in the soil and in the air likely robbed the Stimpmeter of a point or two. The back nine was full of dramatic elevation changes, some challenging blind shots and, if you weren’t accurate with the long clubs, plenty of thick forests to swallow your errant shots and make you wish that Santa might fill your stocking with new golf balls next December. 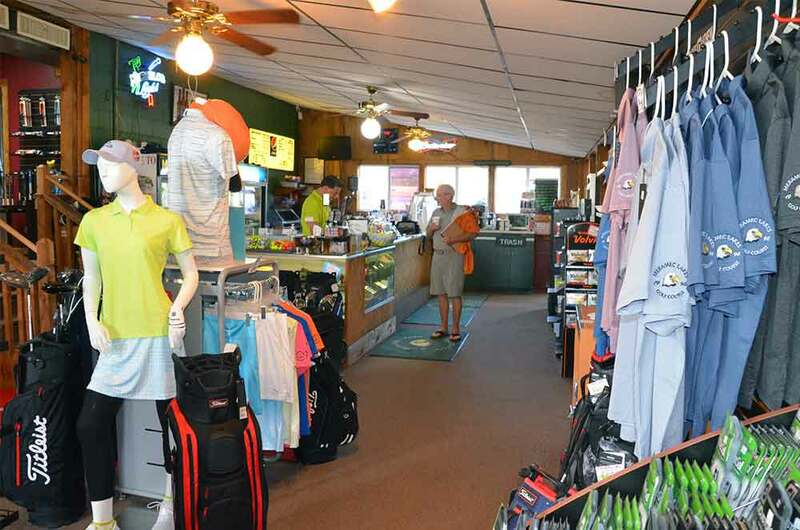 The pro shop carried an unexpectedly nice selection of high-end merchandise at reasonable prices, and the staff was warm and friendly. All in all, if you live in St. Louis and want a different golfing experience you should try Meramec Lakes Golf Course.